If you have an opportunity to purchase a property but just can't get the figures to work, then Nest Home Loans can help! To decide if Non-Bank lending is for you, just answer this question... Will your financial situation be improved by making this purchase AND how quickly can Nest Home Loans refinance you back to bank lending? For ALL of our Non-Bank customers the benefits of obtaining a property far outweigh the costs. As experts in Non-Bank and complex lending Nest Home Loans will connect you with the right specialist lender so that you are able to complete your purchase and reduce your overall costs of property ownership. "Excellent service from Nest. No banks would help our situation but Jeff got us exactly what we wanted at a great rate and very quickly. Very impressed, thank you so much!" Check out our trademe page to read more feedback from our customers! Why would I use a Non-Bank Lender? We use Non-Bank lending when the benefits of purchasing a property outweigh the costs. By purchasing your property earlier you aren't wasting money on rent and you can keep your homes capital gains. By financing back to the bank as soon as possible we are able to reduce repayments and make it cheaper to own your property. I have never heard of non-bank lenders. Are they safe? The answer is 'who is taking the risk?' You have all the lenders money, so the lenders are taking the risk by lending to you. This depends on the situation and property. Rates for rental investments or minor credit issues are extremely competitive, while other development loans can have a higher interest rate. By focusing on refinancing back to the bank we are able to massively reduce the interest rate costs. 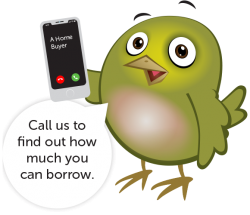 Get an idea of the weekly repayments for you new home!